Railway coach manufacturers can now meet key safety regulations while also making the production and operation of carriages more cost and energy efficient thanks to three new polycarbonate solutions from SABIC’s Innovative Plastics business, which were unveiled today at InnoTrans in Berlin, Germany. 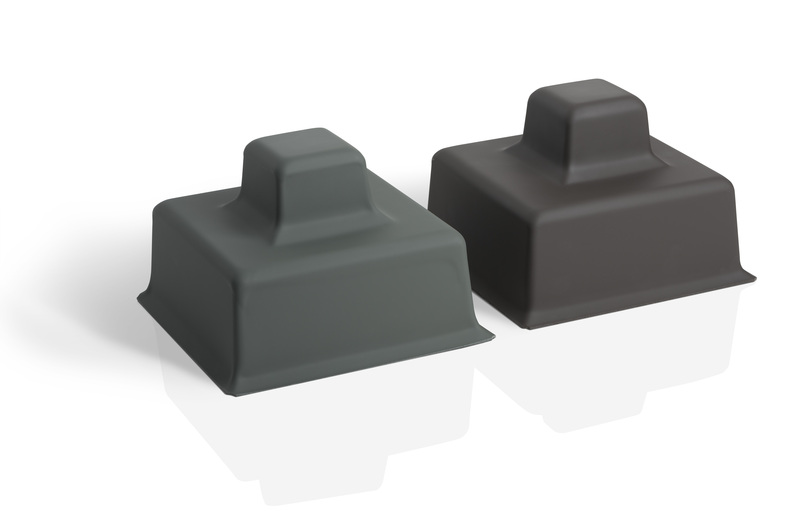 These three new solutions further expand SABIC’s offerings, currently the broadest EN 45545 -compliant thermoplastics portfolio in the rail industry. The high-performance LEXAN sheet and resin solutions are well positioned to help railway interior designers and manufacturers to create attractive components which are resistant to graffiti and vandalism, helping to lower maintenance cost. The overall fuel efficiency of mass transit systems can also be improved as the materials help manufacturers to reduce the weight of railway interiors. implementation of the pan-European norm for fire safety in rail interiors (EN 45545-2:2013). Following the recent development of LEXAN FST3403 resin, which meets the highest hazard level of the regulation for seating requirements (R6–HL3), SABIC has now added LEXAN FST3002 resin to the portfolio which meets the R6–HL2 requirements for seating. LEXAN FST3002 resin, is a copolymer resin with high-flow capabilities, allowing customers to design and produce large parts, which have consistent surfaces with no marks, grainage, stains or flowlines. As it is a good candidate for seating components such as seat base and back shells and seating side panels, customers may achieve cost savings in applications which require the HL2 level of EN 45545 compliance. Additionally, the resin can be injection molded as an alternative to conventional thermosets or fiber-reinforced plastics helping manufacturers to achieve improved manufacturing efficiency as injection-molded seats can be made in a matter of hours compared to the labor-intensive thermoset processing. Unlike thermoset materials which cannot be recycled, the injection-molded seats are recyclable at the end of their useful life. 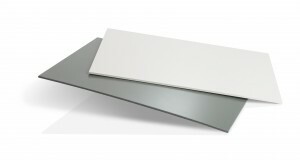 SABIC’s two new anti-graffiti sheet solutions – LEXAN KH6500 sheet and LEXAN KH6200 sheet – meet the requirements of current German DIN rail standard (DIN 5510-2:2009), offering customers a non-chlorinated and non-brominated material supporting their sustainability efforts. Both new LEXAN sheet solutions comply with French NF F 31-112 anti-graffiti norm offering outstanding chemical resistance against graffiti and cleaning agents. The LEXAN KH sheet series is a cost efficient choice to replace polyvinyl chloride (PVC), polyester, vinyl ester or phenolic fiber-reinforced plastic (FRP) materials used in many interior train applications including interior panels, window frames, ceilings and other large interior parts. LEXAN KH6500 sheet can be used to make seats, tables and carriage walls that are resistant to the repeated use of some of the strongest anti-graffiti cleaning agents used today. It also has high stiffness, enabling excellent impact performance and offers low gloss surface finish after thermoforming. The new solution also complies with the US National Fire Protection Association fire safety norm NFPA 130 for passenger rail car walls and ceilings. LEXAN KH6200 sheet obtained an S4/ SR2/ ST2 rating according to the German DIN 5510 norm at 3-5 mm and offers an attractive cost-benefit balance in less-demanding applications such as cladding. It delivers excellent impact performance at low temperatures (ductility down to -20°C) and excellent thermoforming performance at lower temperatures compared to standard polycarbonate materials. Compared to metal, thermosets and glass, the new LEXAN sheet and resin materials can generate significantly lower system costs through the consolidation of parts to streamline production and the avoidance of secondary operations such as painting and coating, machining and polishing. More information about SABIC’s Innovative Plastics business and the range of broad and relevant solutions it offers for its customers in the railway sector can be found on the website (www.sabic-ip.com). For technical product inquiries, please contact us at www.sabic-ip.com/prtechinquiry. Manufacturers of railway interiors can now meet anticipated European fire safety legislation EN 45545 thanks to new additions to SABIC’s broad portfolio of LEXAN™ sheet solutions. With outstanding chemical resistance against graffiti and cleaning agents, the robust materials will help SABIC’s customers to design durable lightweight, low gloss surface solutions for the rail industry. SABIC’s businesses are grouped into Chemicals, Polymers, Performance Chemicals, Fertilizers, Metals and Innovative Plastics. SABIC has significant research resources with 19 dedicated Technology & Innovation facilities in Saudi Arabia, the USA, the Netherlands, Spain, Japan, India, China and South Korea. The company operates in more than 45 countries across the world with around 40,000 employees worldwide. SABIC manufactures on a global scale in Saudi Arabia, the Americas, Europe and Asia Pacific.